Pat Gallagher currently serves as the executive vice president of Partnerships and Communications for the San Francisco Bay Area Super Bowl 50 Host Committee. 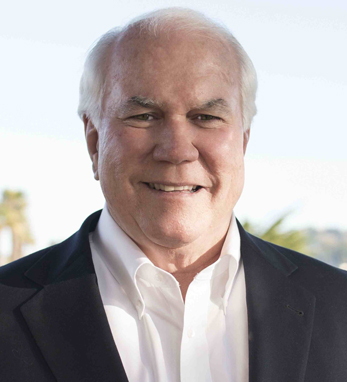 With over 30 years of leadership experience for the San Francisco Giants, he was instrumental in the development strategy and successful bid for the San Francisco Bay area to host the 2016 Super Bowl. Pat was the Giants’ first director of marketing, where he was responsible for some of the team’s most innovative marketing strategies, including the “Croix de Candlestick.” He attended San Diego State College as well as Humbolt State College in Arcata. Pat and his wife Joan have two children, Murphy and Katie, and split their time between San Francisco and the small town of Stinson Beach.